In 1963, His Holiness the 16th Gyalwa Karmapa asked Dupseng Rinpoche to leave Kathmandu for Pokhara in order to meet the spiritual needs of the Tibetan and Nepalese population there. At first, a small monastery was established for performing Buddhist services and ceremonies. Over time, as the number of devotees grew, parents began to ask Dupseng Rinpoche to ordain their sons as monks. Before long, there were 35 monks at the monastery including a young tulku, the present Shangpa Rinpoche. In 1967, His Holiness the 14th Dalai Lama named the monastery “Jangchub Choeling Monastery” and officially recognised the monastic community under the guidance of Dupseng Rinpoche. Three years later Dupseng Rinpoche, aware of the need for expansion, moved the monastery to its present location. He planned to erect a larger building and improve the facilities. Sadly, Dupseng Rinpoche passed away in 1979. Over the past 20 years, Shangpa Rinpoche has continually expanded and improved the facilities at the monastery. 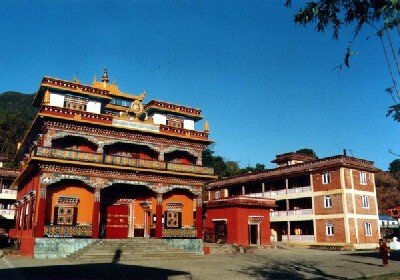 In 1991 the present shrine hall was built and His Holiness Shamar Rinpoche inaugurated the monastery. Yet, a place for prayer is not enough for a monk to develop a complete understanding of the Buddha Dharma. Thus donations were sought to establish a Buddhist educational institute, and in December 1996, the Vikrama Shila Buddhist Institute was completed by Shangpa Rinpoche. New and larger dormitory rooms for the increasing number of monks where completed in January 1998. At present there is around 130 monks living and studying at the Monastery and Institute. Karma Ngedon Palbar Ling Retreat Center is under the supervision of His Holiness Karmapa 17th Thaya Dorje and it is very important for all the buddhist practitioners. Dupseng Rinpoche holds the main responsibility as a retreat master for this retreat center. Each retreat lasts a minimum of 3 years and 3 months in seclusion. The retreat covers the entire cycle of teachings, from the preliminary practices (Ngongdro), through several Creation and Completion meditations (Kyerim and Dzogrim), the six yogas of Naropa and culuminating in Mahamudra practices. As you know buddha doctrine falls in two categories i.e. Theory and Practice. 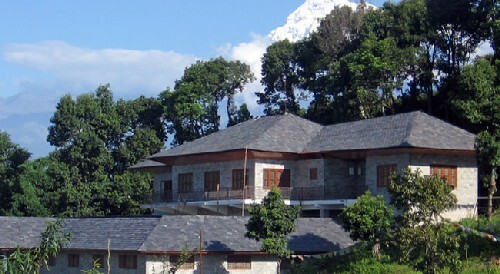 Such a retreat center provides all empowerments, oral transmission and teachings. Upon completion the practice of 3 years and 3 months retreat, they become qualified master and be able to help ad benefits other beings in many ways. In the 1960’s, a small temple was built by local devotees of Kirtipur near Kathmandu in Nepal. The place was offered to His Holiness, the 16th Gyalwa Karmapa, who designated the previous Dupseng Rinpoche and late Kunkhyab Rinpoche to take charge of the temple and its development. The development of the temple was however impeded due to the lack of financial support. Recently Kunkhyab Rinpoche and the local devotees of Kirtipur requested Venerable Shangpa Rinpoche to undertake the development of the place. Shangpa Rinpoche agreed and have since put all effort for making the place what it is today. A nunnery where around 30 nuns live and study the Buddha Dharma. A retreat place, where both lay and ordained people can receive guidance in the practise of meditation. A Buddhist Institute, where lay and ordained people can deepen their knowledge of the Buddha Dharma under highly qualified teachers. It was officially inaugurated on the 5th December 2004 by His Holiness Shamar Rinpoche and H.E. Trulshik Rinpoche. 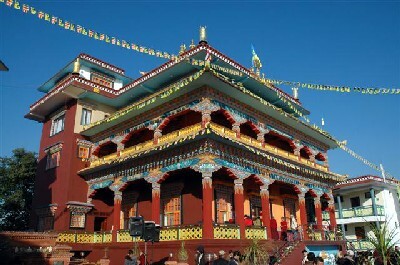 The Tharpa Choeling Nunnery is located in a small town in the district of Mustang. 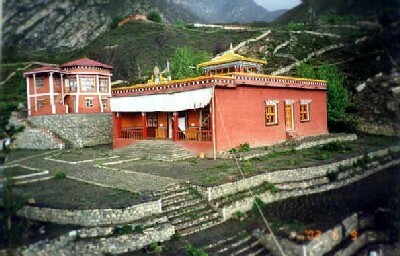 At this very place the 1st Shangpa Rinpoche constructed a former nunnery. The 1st Shangpa Rinpoche stayed here and turned the wheel of Dharma, and became responsible for the building of many monasteries and stupas in this area. Construction of the present nunnery began in 1995 and the opening ceremoney was held in October 2000. At present around 48 nuns live at the Monastery, where they devote time to the study and practise of Dharma. In 1996 Shangpa Rinpoche accepted a request by the Dharmo Dhaya Buddhist Committee to undertake the construction and management of a Monastery at Lumbini, the birthplace of Buddha Sakyamuni. 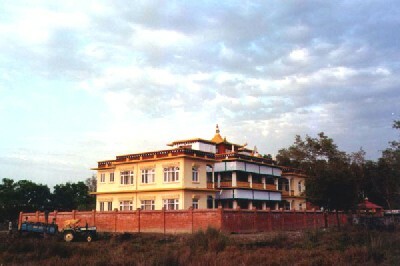 The Monastery was officially inaugurated on the 21st November 2001 by His Holiness 17th Gyalwa Karmapa. Karma Shedrup Choeling is a Buddhist center within the Tibetan Buddhist Karma Kagyu lineage. The center in Denmark is beautifully located with sea view on the countryside, 4 hours by train or car from Copenhagen and Hamburg. The center’s spiritual leader is H. H. 17th Gyalwa Karmapa, Trinley Thaye Dorje. The spiritual guidance is led by the Venerable lamas Shangpa Rinpoche and Dupseng Rinpoche. Karma Shedrup Choeling offers the opportunity to stay or do retreats for shorter og longer periods. 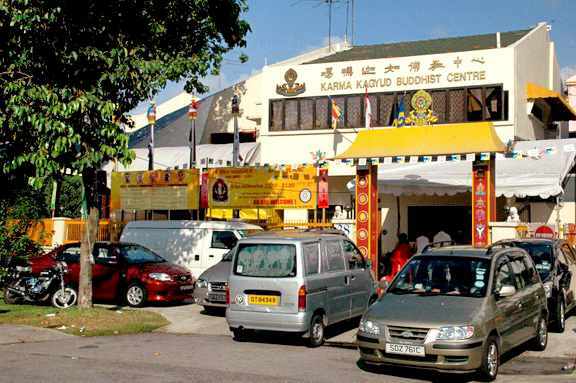 In 1979, His Eminence Kunzig Shamar Rinpoche visited Singapore and with his encouragement and advice, a protem committee headed by Mr. David Chee Kim Swee was formed in preparation for the founding of Karma Kagyud Buddhist Center in Singapore. A detached house at 17, Jalan Latech was rented for the Center’s administration. On 17th April 1981, the Registrar of Societies approved the registration of our Centre. The first management committee was formed on 11th March, 1982. In 1982, Shamar Rinpoche sent Shangpa Rinpoche to Singapore to help establish the Karma Kagyud Buddhist Centre. 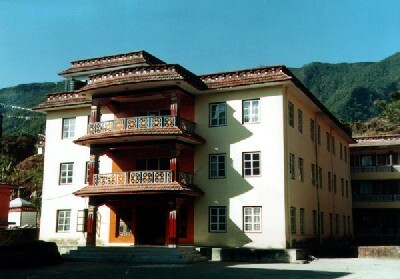 In 1990, Shangpa Rinpoche initiated the search for a new premises to cater for the expansion of the Centre’s activities. With the encouragement from His Eminence Kunzig Shamar Rinpoche and strong support from the members and devotees, the present Centre was acquired. On 29th December, 1991, the Centre was relocated to its present premises. The premise was renovated in 1993 and has since been used as the venue for most of the Centre’s activities to serve the spiritual and welfare needs of its members and devotees. Shangpa Rinpoche is currently residing in this Center. In 1995, with the encouragement of His Holiness 14 Shamarpa, Kunzig Shamar Rinpoche, several disciples of Rinpoche decided to set up a Dharma society for the great benefit of sentient beings. As a result they began the process of registering the society with the appropriate organizations. There was much joy when, in 1997, the registration of the centre finally got approval from the government. In the same year, the centre was setup and initiated with a grand opening ceremony. HH 14 Shamarpa gave the centre the name ‘Saraha’ in remembrance of the great Indian Siddha. 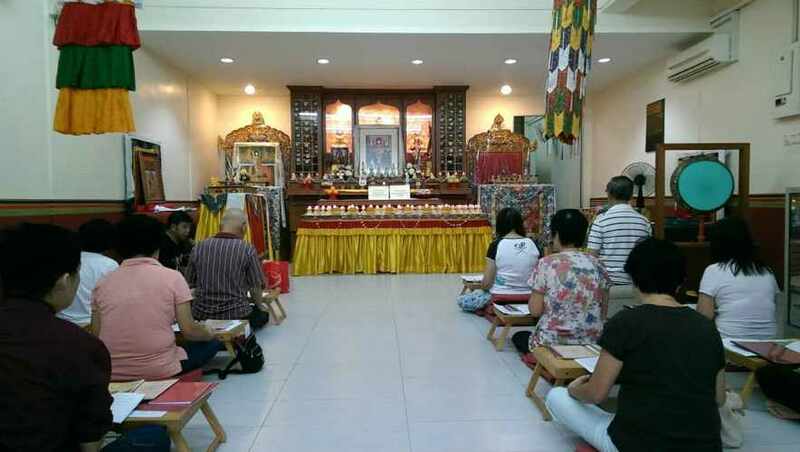 With HH 17th Kamarpa Trinlay Thaye Dorje and HH 14th Sharmapa Kunzig Shamar Rinpoche as guru, Saraha Buddhist Society, a centre that spread the teachings of the Karma Kagyu lineage of Tibetan Buddhism was finally established in Johor Baru. The center is under the joint spiritual guidance of Shangpa Rinpoche and Dupseng Rinpoche.